Many governments, cognisant of the adverse effects of GMOs on human, animal and crop health, the environment, and biodiversity, are closing down on GMO technology. Zachary Makanya puts forth a strong case on why the government of Kenya should borrow a leaf from these governments. Many of us have been cautioning Kenyans not to embrace GMOs for a long time and we thought our reasons were clear to all. We were very happy that the Government of His Excellency Hon Mwai Kibaki listened and respected the wishes of Kenyans. The reasons we have against GMOs have not changed and with time, many governments have become wiser and are banning GMO technology instead of embracing it; the most recent, the government of Scotland, banned GMOs as late as August 2015. It is, therefore, disheartening to see the present government of Kenya opening doors while others are fast closing and sealing all the gaps that lead to the introduction of GMOs. First, it should be noted that many people are not against biotechnology in totality. Biotechnology has been with us for a long time: beer-making, bread-making, yoghurt production, grafting, hybridisation and more recently, tissue culture. Many farmers are not against any of all these forms of biotechnologies and indeed, many are eager that they should be continued and improved. However, there is another branch of biotechnology called Genetic Engineering or Genetic Modification which is really dangerous for all farmers. Why should Kenyans and all people refuse GMO in agriculture? Why will the lifting of the GMO ban spell doom to Kenyans farmers? It is a known fact that pollen grains can be spread a long distance through open pollination (wind/insects). GMO crops can, therefore, never co-exist with non-GMO crops of the same species without the risk of contaminating them. This contamination of non-GM crops by GM crops has 2 direct effects on African small-scale farmers: The local farmers will lose their indigenous seeds through this contamination. This is a great loss since the African farmers have endeavoured to save the seeds they “trust and know” over centuries. The African farmers who may be found with GM crops growing on their farms may be prosecuted for violating the law of patents. In the US, there are many cases in court of local farmers being accused of having GM crops through no fault of their own and especially if the crops entered into their farms via open pollination. Due to the patents law, these farmers are being fined heavily. Is this the direction our government is taking its farmers? GM crops do not necessarily have higher yields. South Africa is touted as a country where the GM industry is doing well. However, the famous Makhatini Bt. Cotton in KwaZulu Natal province is a case in point. This project had an initial 3,000 farmers who were heavily supported through credits and subsidies. With time and due to the high costs of the Bt Cotton seeds and the inability of the farmers to pay the loans, the support was withdrawn and many farmers halted planting the cotton crop. Currently, only 300 farmers are planting the crop. It is also on record that recently, Burkina Faso, one of the few countries in Africa to embrace GM cotton, is reducing GM cotton production as farmers continually seek compensation for low yields and bad quality cotton. Over the last few years, over 20,000 farmers in India have committed suicide because of indebtedness and dependence on GE seeds. Such people commit suicide because they are hopeless and helpless. Surely, is this the road we want the Kenyan farmers to take? 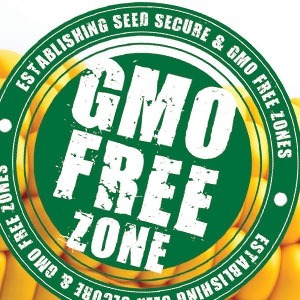 All GM seeds are patented by the large multinational companies. It is estimated that currently, over 97% of the agricultural patents are owned by corporate companies in the West. GM seed is also protected by Plant Breeders’ Rights (PBRs). Patents and PBRs always require the users to pay royalties for the use of GM and transgenic crops. Thus, the GM seeds are very expensive and farmers pay heavily every time they want to use them. In fact, the companies that sell GM seeds make farmers sign technological contracts which prohibit them (farmers) from saving their seeds, selling their seeds or even sharing their seeds. The reason is obvious – the farmers will keep on buying seeds from the companies producing these seeds. It is important to note that over 80% of the small-scale farmers in Africa today save their on-farm produced seeds for the next season. The farmers do this because they cannot afford the hybrids seeds from seed companies for every planting season. The small-scale farmers will not afford the GM seeds just as they cannot afford the hybrid seeds. Kenyan farmers should ask themselves why is it that even when there is a lot of maize in the Rift Valley or in the Cereals Board, their neighbouring pastoralists in the North Rift or in North Eastern cannot afford the cheap maize available from their next-door neighbours and have to get relief food most of the time. Do they get relief food because there is no food in the Rift Valley and in other parts of Kenya? This clearly shows that the availability of food in a country does not directly result into food security. Another pertinent example is Brazil, the third largest producer and exporter of food and one of the leading producers of GM food in the world. Yet, over 30% of the Brazilians go hungry and cannot afford food – even when it is produced and exported by their own country. Other people in other countries, who have money, can afford the food produced by the Brazilians. Argentina produces rice that is enough to feed both India and China. Yet, over 25% of Argentines live below the poverty line and cannot even afford the very rice that Argentina produces and exports. But why is it that Kenyans, Brazilians and Argentines cannot buy the food produced in their own countries? It is all because they have communities that live in abject poverty! They have no money to buy the food and they just watch it being exported to other countries; countries that do not produce the food but whose people have higher purchasing power and hence can afford it. In order to fight food insecurity, we have to fight poverty at its roots. The GM proponents argue that the GE crops will reduce the use of chemicals. However, close scrutiny of the real situation of GE crops being promoted reveal some interesting trends. Presently it is estimated that over 80% of all the GE crops in the world are herbicide tolerant. This means that most of the GE crops which are being promoted are only tolerant to certain herbicides or weed killers. Those who are growing these GM crops are forced to buy herbicides or the weed killers from the manufacturing companies. The most common one is called glyphosate commonly known as “Round Up”. The cancer research arm of the World Health Organisation (WHO) has recently classified glyphosate as a “probable human carcinogenic”; in other words, it probably causes cancer. The adoption of glyphosate, tolerant crops dramatically increases the use of this dangerous chemical, hence posing a risk to farmers, farm labourers, soil, water courses, food chains and food webs. After 20 years of experimenting with these crops, the problems associated with GM crops are emerging. For example, the first Bt maize made available in South Africa has been withdrawn as the maize stalk borer has adapted to the poison the crop makes. The company that introduced it had to compensate farmers for extensive crop damage when the technology failed. It is disheartening to note that this same crop, which failed several seasons ago in South Africa, is the one set to undergo field trials in Kenya. The government of Kenya should make sure that the ban is still on. The government should organise a meeting of all stakeholders so that we explain our case with facts and figures on why GMOs should be banned in Kenya, in Africa and in the whole world. There is a need to expose the open lies being perpetuated and, because they are repeated day in day out, sound like the truth. Who will protect the seeds of the small-scale farmers? Who will guard the interests of the small-scale farmers? The government of His Excellency Uhuru Kenyatta and His Excellency the Deputy President William Ruto has been dubbed as a people’s government and one that listens to its people. It should live to that expectation by enforcing the ban rather than lifting it. Unless the ban is enforced, Kenyans farmers must kiss goodbye the seeds they have saved, nurtured, managed and inherited over many years. It will be the greatest betrayal of the century for the future generations who will never see these seeds.